Dare To Try This New Samurai-Fighting, Poseidon-Chasing Escape Room In Bessy? 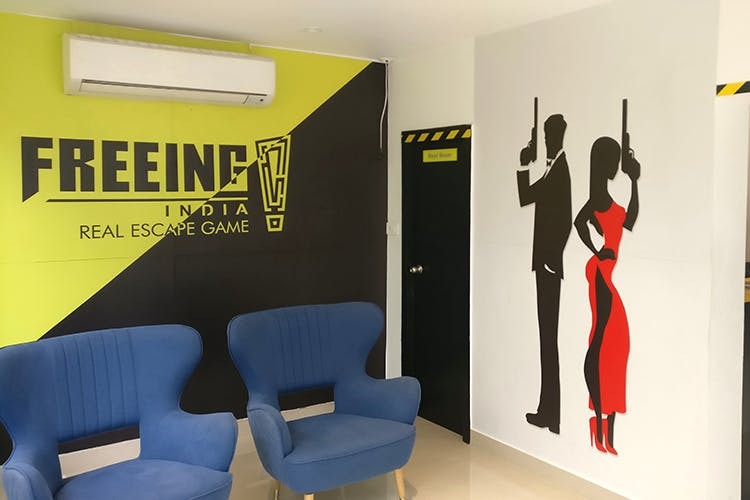 Freeing India, Chennai’s first escape room style game centre has opened at its newest location in Besant Nagar. The new centre features four new game styles that move away from the traditional alpa-numeric puzzles we’re used to seeing at these escape rooms and adopts a more tactile and physical approach to theirs. If all of that sounds like gibberish, check out our earlier recommendation on Freeing India and escape rooms here. There’s fighting with Samurais, swimming through oceans and more crazy challenges for you to face at the Besant Nagar branch, in their four new (60 minute) games (one of which is Alice in Wonderland themed!). It’s family-friendly fun and it starts at INR 400 per person per game. What’s more if you check in with Facebook when you’re there, you get a INR 50 discount! See you there?